As the weather begins to warm up, it is time to think about outdoor activities we can pursue not only for pleasure but to hone and practice our outdoor survival skills. Speaking for myself, camping is high on my list of summer activities, including a first-time adventure using a tent. 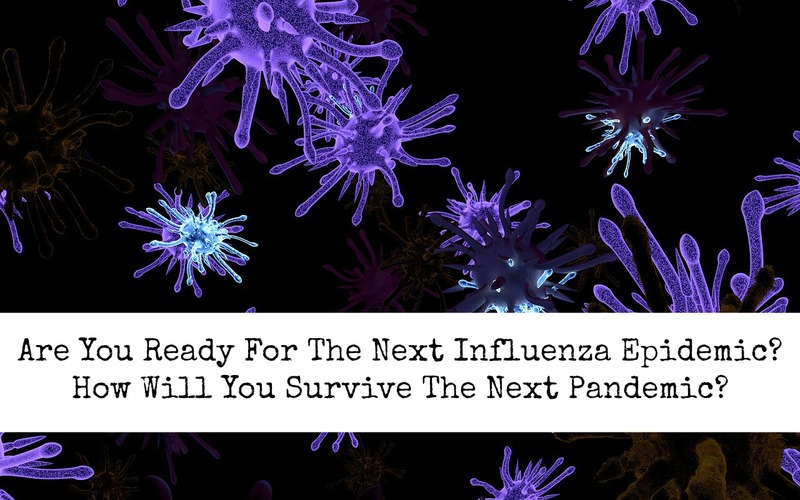 Most of us plan to hunker down and shelter in place in the event of a disruptive event. That said, if our homes are no longer safe, either due to location or to physical destruction, we must have a plan to evacuate. In some cases, the answer will be short term camping. 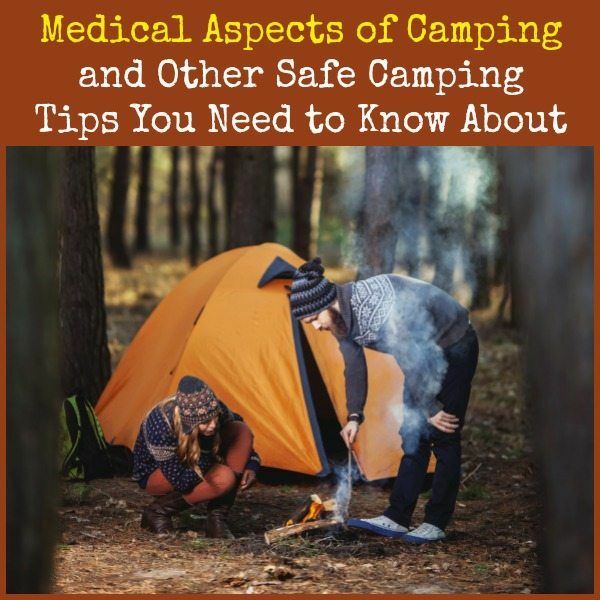 Dr. Joe Alton is here to today to weigh in on what we need to know about the medical aspect of camping plus some other tips to make the overall experience both pleasurable and educational. School will be out soon and a great way to teach your family survival basics is by taking them camping. The skills needed for successful camping are akin to those required for the activities of daily survival. Once learned, these lessons last a lifetime. There’s no greater gift that you can give young people than the ability to be self-reliant. Camping trips create bonds and memories that will last a lifetime. A poorly planned campout, however, can become memorable in a way you don’t want, especially if someone gets injured. Luckily, a few preparations and an evaluation of your party’s limitations will help you enjoy a terrific outing with the people you care about, and maybe impart some skills that would serve them well in dark times. If you haven’t been camping much, don’t start by attempting to hike the Donner Trail. Begin by taking day trips to National Parks or a nearby lake. Set up your tent and campfire, and see how it goes when you don’t have to stay in the woods overnight. Once you have that under your belt, start planning your overnight outings. Whatever type of camping you do, always assess the capabilities and general health of the people in your party. 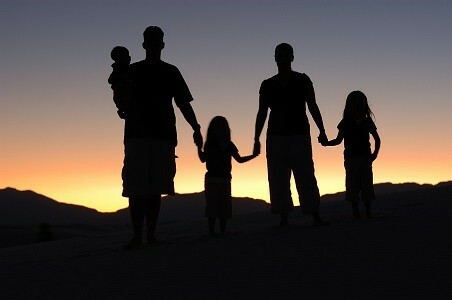 Children and elderly family members will determine the limits of your activities. The more ambitious you are, the more likely the kids and oldsters won’t be able to handle it. Disappointment and injuries are the end result. 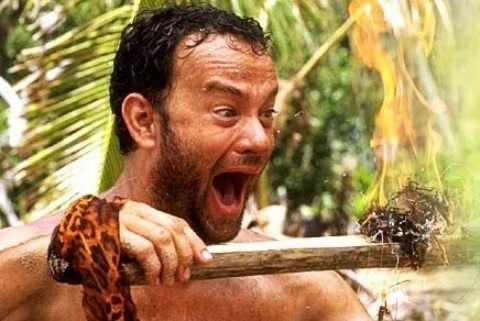 A very common error campers (and survivalists) make is not bringing the right clothing and equipment for the weather and terrain. If you haven’t planned for the environment you’ll be camping in, you have made it your enemy, and believe me, it’s a formidable one. Although Spring and Fall have the most uncertainty with regards to temperatures and weather, you could encounter storms in any season. Always take enough clothing to allow layering to deal with the unpredictability of the season. Conditions in high elevations lead to wind chill factors that could cause hypothermia. If the temperature is 50 degrees, but the windchill factor is 30 degrees, you lose heat from your body as if it were below freezing. Be aware that temperatures at night may be surprisingly cold. In cold weather, you’ll want your family clothed in tightly woven, water-repellent material for protection against the wind. Wool holds body heat better than cotton does. Some synthetic materials work well, also, such as Gore-Tex. Add or remove layers as needed. If you’re at the seashore or lakefront in summer, your main problem will be heat exhaustion and burns. Have your family members wear sunscreen, as well as hats and light cotton fabrics. Plan your strenuous activities for mornings, when it’s cooler. In any type of weather, keep everyone well-hydrated. Dehydration causes more rapid deterioration in physical condition in any type of stressful circumstance. Allow a pint of fluids an hour for strenuous activities. The most important item of clothing is, perhaps, your shoes. If you’ve got the wrong shoes for the outing, you will most likely regret it. If you’re in the woods, high tops that you can fit your pant legs into are most appropriate. If you go with a lighter shoe in hot weather, Vibram soles are your best bet. Special Tips: Choosing the right clothing isn’t just for weather protection. If you have the kids wear bright colors, you’ll have an easier time keeping track of their whereabouts. Long sleeves and pants offer added protection against insect bites that can transmit disease, such as Lyme disease caused by ticks. A real estate agent’s motto is “location, location, location” and it’s also true when it comes to camping. Scout prospective campsites by looking for broken glass and other garbage that can pose a hazard. Sadly, you can’t depend on other campers to pick up after themselves. Look for evidence of animals/insects nearby, such as large droppings or wasp nests/bee hives. Advise the children to stay away from any animals, even the cute little fuzzy ones. If there are berry bushes nearby, you can bet it’s on the menu for bears. Despite this, things that birds and animals can eat aren’t always safe for humans. Learn to identify the plants in your environment that should be avoided. This especially includes poison ivy, oak, and sumac. Show your kids pictures of the plants so that they can steer clear of them. The old adage is “leaves of three, let it be”. Fels-Naptha soap is especially effective in removing toxic resin from skin and clothes if you suspect exposure. Build your fire in established fire pits and away from dry brush. In drought conditions, consider using a portable stove instead. Children are fascinated by fires, so watch them closely or you’ll be dealing with burn injuries. Food (especially cooked food) should be hung in trees in such a way that animals can’t access it. Animals are drawn to food odors, so use resealable plastic containers. If you camp near a water source, realize that even the clearest mountain stream may harbor parasites that cause diarrheal disease and dehydration. Water sterilization is basic to any outdoor outing. There are iodine tablets that serve this purpose, and portable filters like the “Lifestraw™” which are light and effective. Although time-consuming, boiling local water is a good idea to avoid trouble. Few people can look back to their childhood and not remember a time when they lost their bearings. Your kids should always be aware of landmarks near the camp or on trails. A great skill to teach the youngsters is how to use a compass; make sure they have one on them at all times. A great item to give each child (and adult) is a loud whistle that they can blow if you get separated. Three blasts are the universal signal for “help!” If lost, kids should stay put in a secure spot. Of course, if you have cell phone service where you are, consider that option as well. Even kids in protective clothing can still wind up with insect bites. Important supplies to carry are antihistamines like Benadryl, sting relief pads, and calamine lotion to deal with allergic reactions. Asking your doctor for a prescription “Epi-Pen” is a good idea, as they’re meant to be used by the average person. They’re effective for severe reactions to toxins from insect bites or poison ivy. Citronella-based products are helpful to repel insects; put it on clothing instead of skin (absorbs too easily) whenever possible. Repellents containing DEET also can be used, but not on children less than 2 years old. Don’t forget to inspect daily for ticks or the bulls-eye pattern rash you might see in Lyme disease. I mean it when I say daily: If you remove the tick in the first 24 hours, you will rarely contract the disease. Of course, you’ll need a medical kit as part of your supplies. Consider some of the items in our compact, lightweight personal IFAK kit, specifically meant to deal with mishaps on the trail. You might have your own favorite items to bring with you; if so, feel free to post them in the comments section below. Now that I live adjacent to the forest, I want to get a tent. The plan is to get something easy to set up because, after all, I am not a young as I used to be and want to save my energy for things like hiking and doing a bit of wood chopping. Then, as Joe suggests, I plan to camp in my own one-acre backyard before venturing further. One thing is certain, it is a lot more fun to practice survival skills when you couple the experience with a family adventure! 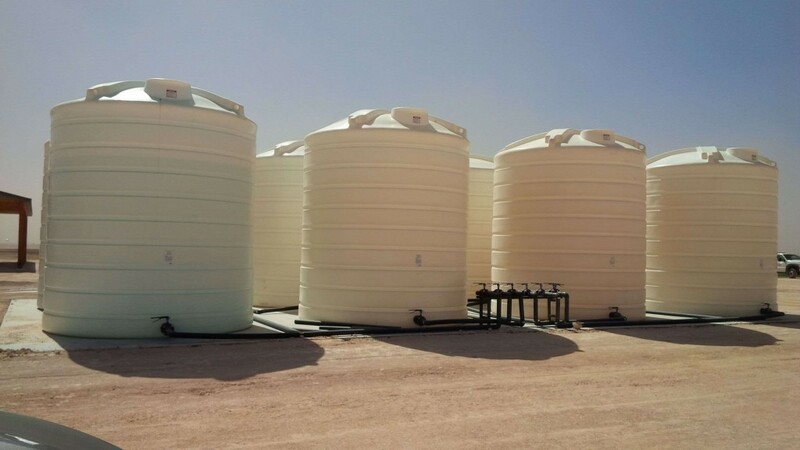 So….You have thousands of gallons of water stored in underground tanks. You and your family have 3 years worth of dehydrated this and canned that. You have 20,000 rounds of each caliber of ammunition stored in ziploc bags, inside mylar bags, inside waterproof containers, sitting inside your custom built faraday cage, buried in the back 40. You think you are ready to weather the storm no matter what disaster comes knocking at your doorstep. But….many of you are not as prepared as you might think you are. How are you going to maintain your St. Augustine/Bluegrass hybrid lawn and keep it in shape? You’ve put so much work into this lawn, trimming the sidewalk edges with barber scissors you would never allow the kids to use to cut paper, in fear they might dull the edges. We have solutions that will help you keep that lawn looking amazing long after the grid goes down and gas stations have dried up. Without water you have no lawn. You will need to take advantage of the good God almighty and his generous H2O from the heavens. Rain barrels, Water bags, and large tote containers will be needed to redirect the roof run off. Even though this rain may be acid rain, any water is better than no water. You’ll have to stock up on PH testing strips and plenty of baking soda to adjust the acidity of the water to keep you from burning your beautiful green lawn. Chickens, Chickens, Chickens. Nitrogen means green grass and Chickens poop has high levels of nitrogen. You should design you’re chicken run to allow a long 2×4 board to lightly graze the top of the soil to one side of the coop so you can scoop up the poop ever so delicately without removing too much soil. Mix you chicken poop into your composting pile and Voila….you have some of the best fertilizer you could have purchased from Home Depot, provided it was still in business. Many of you are already thinking goats, cows, or lamas, but you’re wrong. Not only will they eat bare spots in your cherished St. Augustine, they will make your lawn lumpy. 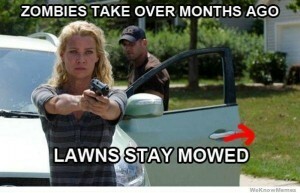 Besides, who says you can’t take pride in the act of mowing your own lawn after the apocalypse. 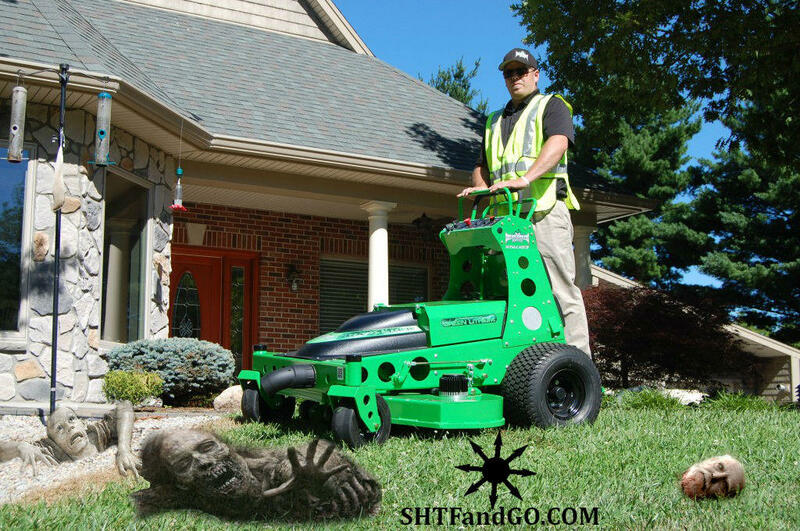 Invest in solar powered, rechargeable, reel, mowing equipment. Now a good reel mower will always cut you grass much better than a regular spinning blade mower, since it scissors the grass blades cleanly, instead of beating the grass leaving brown tips. A good solar system sized for the size of your lawn is important. You can use the formula (SqFt Lawn x 120 watts) for you solar collection and the formula (total watts of solar collector x 5 hours x Amp Hours of battery storage x number of times per week you mow) to calculate the battery size needed to keep your lawn short and luscious. If you are on a budget and don’t have the $40,000 to drop on a high quality solar powered mowing system, but you might have 7 children of push mower pushing age, I might suggest a push mower. Just realize with all that high quality chicken poop fertilizer you have been using, you will need each child to take a turn mowing the lawn each and every day. After 3 days of growth the push mower will not be able to cut it ever again. Just because the world we know it has ended, doesn’t mean we have to stop civilized. You may want to invite the only other people in 3 states over for a re-hydrated meal one day, and you don’t want them to see you dilapidated yard. I hope one day to drive my deuce and half through your part of the world and see and shining green lawn off in the distance and think I made a difference. When it comes to preparedness – or life in general – there’s a ton to buy. When we can reuse something, it helps. One, there’s the direct cost application. Two, looking at something and seeing its ability to be something completely different has enormous benefits in opening the mind in general. If we’re preparing for a crisis, gardening and the ability to provide fresh foods in the gulf of winter and spring take on a far greater importance than just a hobby or a passion. Happily, there are some things that can be salvaged for free or found at very low-cost that make a world’s worth of difference. Channel your inner Julie Andrews with me as we look at a few of my favorite things. There’s some non-gardening uses for each listed as well. Years ago I picked up a free DVD rack to be a bean trellis for a Rubbermaid tote garden. I have since been in love, and it’s one of the things I consistently watch for at yard sales, curbside pickup listings, and foreclosure cleanup sites. I got lucky, and mine have a rounded top at the sides. If you find some that don’t, just glue on a milk jug cap for some of its applications. They go way beyond trellising. They work for the far ends and sometimes central support “poles” of low poly tunnels or low hoops for garden beds and rows. A little free bamboo or PVC to span distances, some binder clips (Dollar Tree) to clamp the plastic on, and you’re in business. They can also be set up long-wise down the middle of a bed to form an A-frame style “camping tent” poly cover if desired, which works really well for peas, with roots and salads to the outer verges, and converts well to later tomato beds. They also form plant racks for inside near windows, against pale walls, or outdoors to keep salads conveniently close or make use of vertical height. Mine all hold square plastic coffee tubs (they need a length of string along the front unless it’s a really well-protected area), #2.5 cans (the large tomato or peaches can), and V8 bottles without any modification at all. They’ll hold 2L bottles on their sides for longer, shallow containers, or Lipton and Arizona tea jugs of both types and sizes either cut off vertically or horizontally. I can do square juice jugs as well, but they overhang enough to make the dog tails an issue on their sides, and I’m more comfortable with some twine or wire looping them to the back bar. I prefer the open-dowel construction type, just because it leaves me options. I can add thin saplings, bamboo or thin sheathing to convert them if needed, but the open frame allows more light and nestles the rounded-bottom containers well. Outside Gardening the DVD racks have the ability to hold larger canned goods and bottles of water, be used to dry clothes as-is or be half of a frame of dowels or saplings to create a larger drying space, and the poor kid used to have a pair that were hung with a curtain, topped with a chunk of (free) plywood, and outfitted with $2 in hooks to hang her uniform shirts and pants, like a mini closet that was also the mirror and vanity. These guys don’t multipurpose to the same degree as the DVD racks. They’re really handy to run across, though. One, having a backup is never a bad thing. Two, they are ready-made cold frames and pest exclusion frames. I like a 3’ width for garden beds, permanent or bounded, and they fit pretty perfectly as-is. I can tighten up and use straw bales to create a different kind of cold frame with them laid across the top. I can run them in series or as individual structures. An A-frame can be pretty quickly mocked up and is one of the easiest builds for getting your feet wet. It’s also handy in that it sluices ice and snow build-up and is more resistant to winds. The doors and windows get hinged at the tops, any stick or tool props them so they don’t flip the frame or ka-bong off your noggin, and cats, dogs and goats are less likely to stand on them. Just the mesh from storm doors and windows is useful. So is mesh that comes off when you repair those. It’s going in the garden, so some stitching or a little duct tape on both sides to repair a rip isn’t an issue. All it’s doing is protecting seed-stock squash from cross-pollination or keeping creepy-crawlies from eating the brassicas, lettuce, and beans before you can. The advantage to taking out the mesh is that it’s an even easier build yet. There’s no hinges (unless you hinge the whole frame) and there’s less weight. That means more materials become potentials for the frame itself. You can tie some loops to go around a brick or post, or add some eye hooks to keep it in place. Do keep the builds small enough that you can lift or flip by yourself once plants are in there. Some posts to the inside of the bed or rows can create a pivot point for flipping. My first set of drop cloth came from a part-time job in high school. I have been in love ever since. It’s not super expensive, and it’s a toss-up whether the construction poly or the garden poly is cheaper to buy new, but it’s usually the totally clear construction drop cloth in our area. The 5+ mil I use is fairly durable in Southern wind storms, sun rot, ice and freezing rain, and Mid-Atlantic snow. Contact handyman type businesses and painting businesses – for these as well as the windows and storm doors, and the mesh from those. Usually they’ll only use them for so long and as with the mesh, a few duct tape patches and the paint stains won’t impede too much structurally or light-wise. Should you see them pop up cheap or free somewhere, don’t neglect those fancy-people outdoor grill, furniture and sofa covers, or any clear, thick, translucent vehicle covers. Like the totally clear and colorless painter’s plastic, they all make for great garden hoop houses. 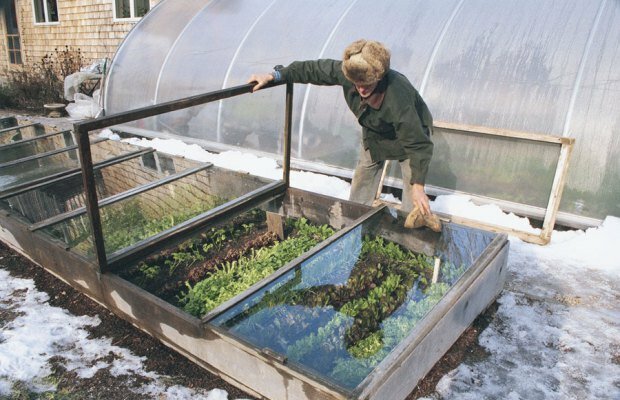 Some of them can also be outfitted with sturdier construction to form a more permanent greenhouse. Outside Gardening drop “cloth” or storm doors and windows can also be assembled into wind and snow-blocking shields around exposed doors at the home, or can enclose part or all of a porch to turn into a mudroom in an emergency or during snowy weather. Doing so creates a buffer chamber so there will be less polar vortex entering the house with every human and pet. Plastic can also be used to cover windows and doors inside or out to decrease drafts and increase insulation value. 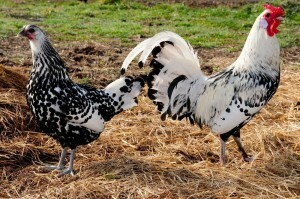 The painter’s plastic has the same value for livestock in extreme environments, especially if a normally warm climate is experiencing sudden return-to-winter weather after flocks or rabbits have adjusted to 60s-70s-80s, or if it’s so rare to have severe weather, coops and hutches were never built for extreme cold. Drop cloths and poly covers can also be used to line bedding for the young, ill and elderly, so that every sneeze and cough or “mommy, I feel- blech” does not lead to disinfecting a mattress as well as changing bedding. Really, do you ever have enough shelving? I particularly like seeing the simple-frame, open-weave, metal-wire shelving for bathrooms, laundry rooms and closets pop up in junk piles, yard sales, and Craigslist, because it’s super handy, super versatile stuff. Like the DVD racks, it’s indoor-outdoor tiered plant stands, either year-round or during seed-starting and transplant season(s). It can also be wrapped in our reclaimed plastic sheets or form part or all of the structure for salvaged windows or poly covers to make a mini greenhouse on a porch, beside a house or garage, for growing later and earlier in the season. Then it gets even more useful. Even if the whole is a little rickety, the shelves themselves can be removed and then turned into trellises. They can be rearranged around their original legs-stand or affixed to bamboo or the legs from old tables or chairs to form short garden fences to discourage turtles and rabbits, and limit dogs running through beds. As an added bonus, if you have a senior gardener or an injury, sinking some of those sturdy table legs or a bundle of 3-4 larger bamboo canes 18” deep and up to hip or rib level can be a major aid in keeping them gardening. The sturdy supports can then be covered with netting or sections of storm door mesh to act as a further bird and pest exclusions. Outside Gardening there are endless uses for shelving, from water collection to organizing anything at all. Wire shelves also offer a lot of airflow for drying clothes. The shelf “planks” of wire units can be used to patch and shore up fences and coops, especially somewhere something dug. They can be used to cover vehicle and house windows to limit damage from thrown bricks or if a storm window is damaged during a crisis. They can also be reconfigured into a cage or crate for rabbits or small birds, to expand flocks or because they happened to be stacked from Craigslist and Freecycle runs ahead of time and now there’s a puppy to crate train or weather has shifted and we’re worried about the next generation of layers. The shelves can be used to sift the largest chunks out of compost or soil in some cases, help form a gabion to slow water and keep it from increasing erosion, or can be lined with mesh or cloth for drying foods or seeds. The shelves can usually be easily reconfigured with larger or smaller gaps than originally intended to facilitate buckets, larger boxes, or drying seeds and grains. They don’t pop up as much as they used to, but some can still be found on the freebie sites as curbside pickup, or for <$15-20. They also sometimes pop up at Salvation Army/Goodwill, and if you cultivate contacts, sometimes you get your hands on just the shelf parts because the rest of the racks have been lost during multiple transfers or all the pieces weren’t donated. These are just a few of my favorite things to re-purpose for growing veggies. The world is full of things like laundry bags we can use to prevent caterpillars and squash bugs on our cabbage and beans and zucchini, and old carpeting we can layer deep in garden walkways to cut down on maintenance time. Any time we can reuse something, it cuts down on waste, making for a better world – not just the world around us. If we’re saving time and money, and if we’re developing some creativity and a new way of looking at things, we increase our preparedness and better our own world directly.